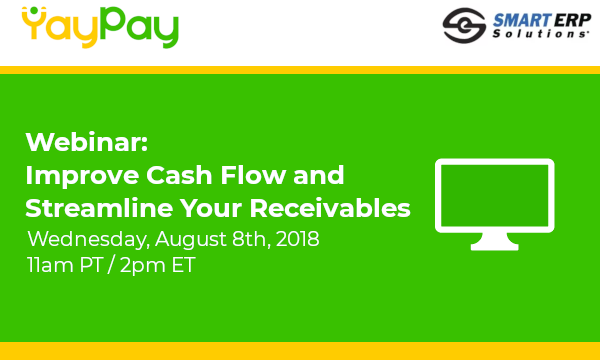 We're hosting a webinar with SmartERP on Wednesday, August 8th, at 11am PT/2pm ET that explores the benefits of integrating YayPay with your Oracle solution. Can't make it on Wednesday? Register anyway and we will send you the recording.